Royal Talens Van Gogh Watercolour Single Pan. Van Gogh water colours allows for easy colour transfer. The colours are strong and highly transparent. Whichever colour you choose, the viscosity is always uniform. 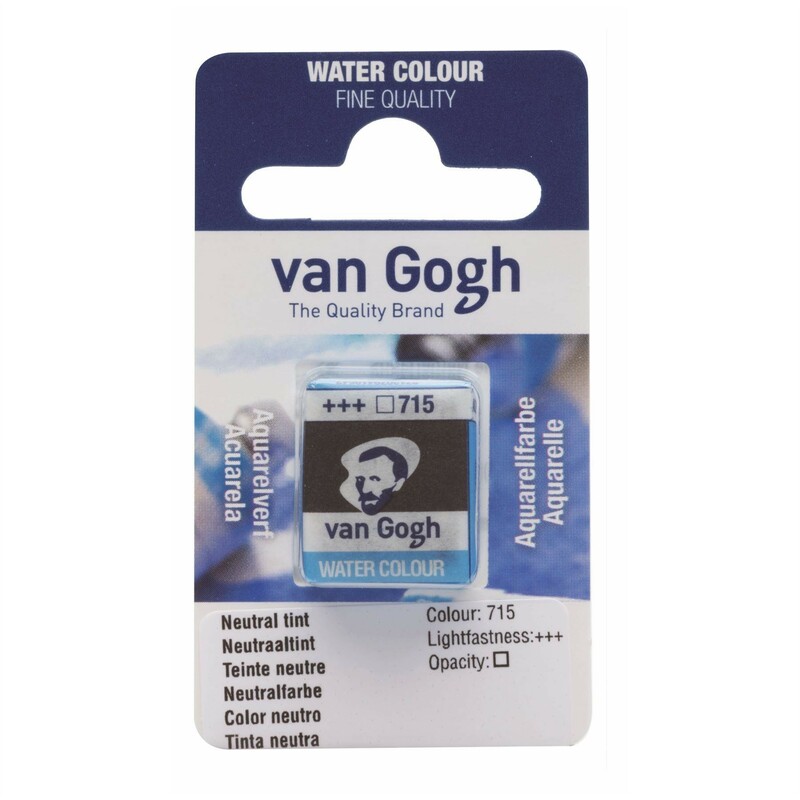 All colours are highly lightfast, even when thinned a great deal, which ensures that the colours are retained in the long term. Quality is what you get with this brand. That is why you use Van Gogh paint, so you can focus completely on your creativity and the painting process. Thanks to the lively and intense colours, you can do anything in your paintings. Your inspiration determines the direction and the paint is your instrument. 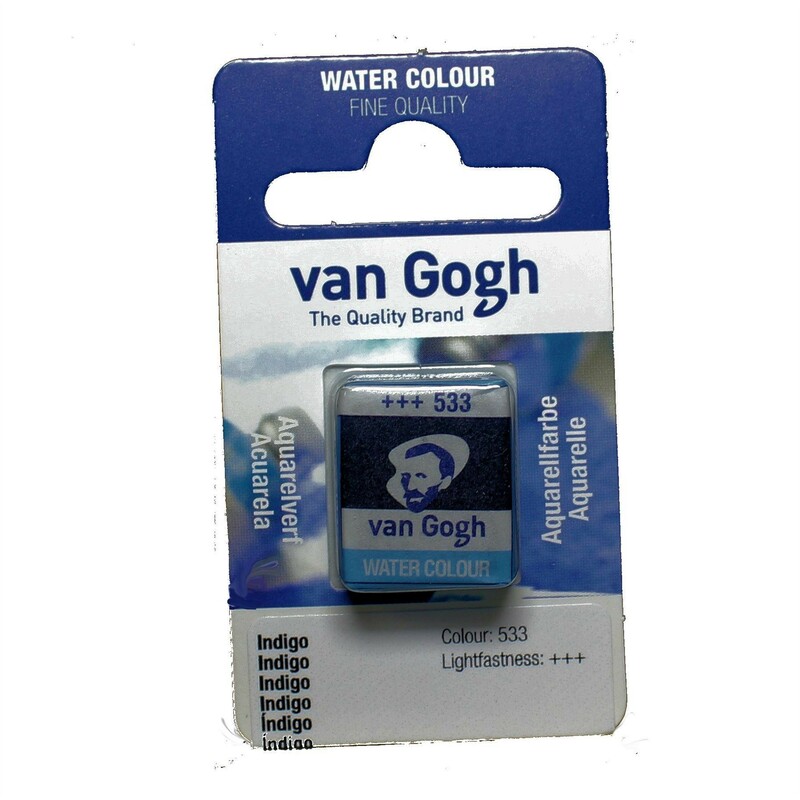 Van Gogh is therefore the ideal brand for the serious artist for whom quality is important. 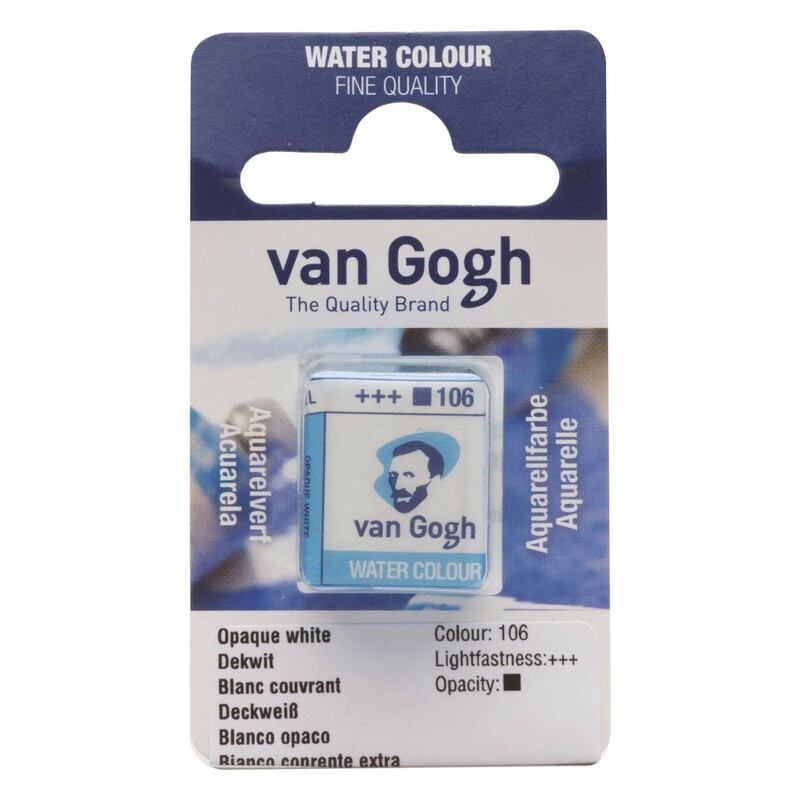 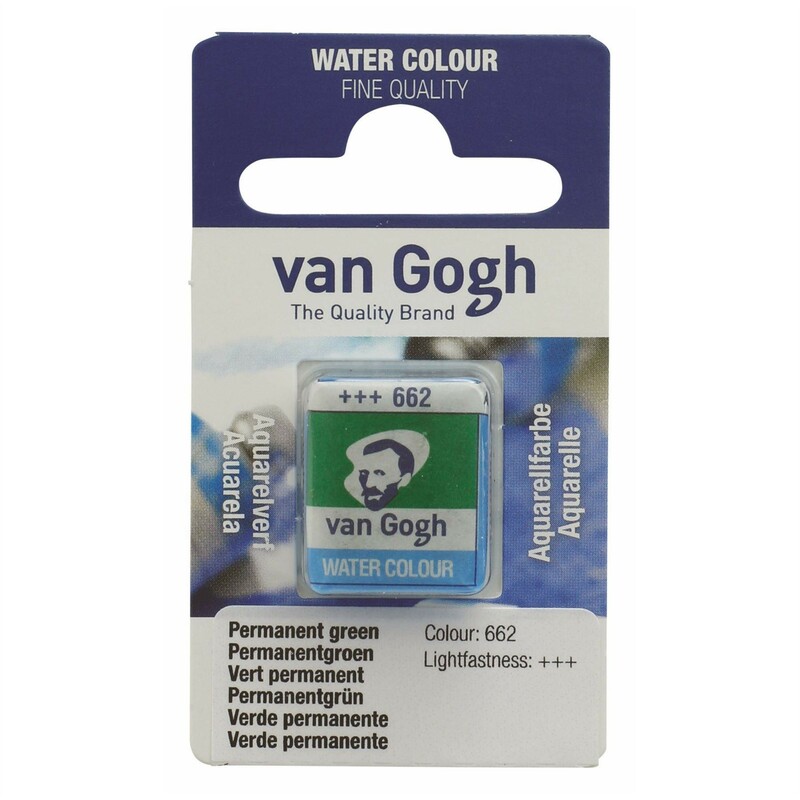 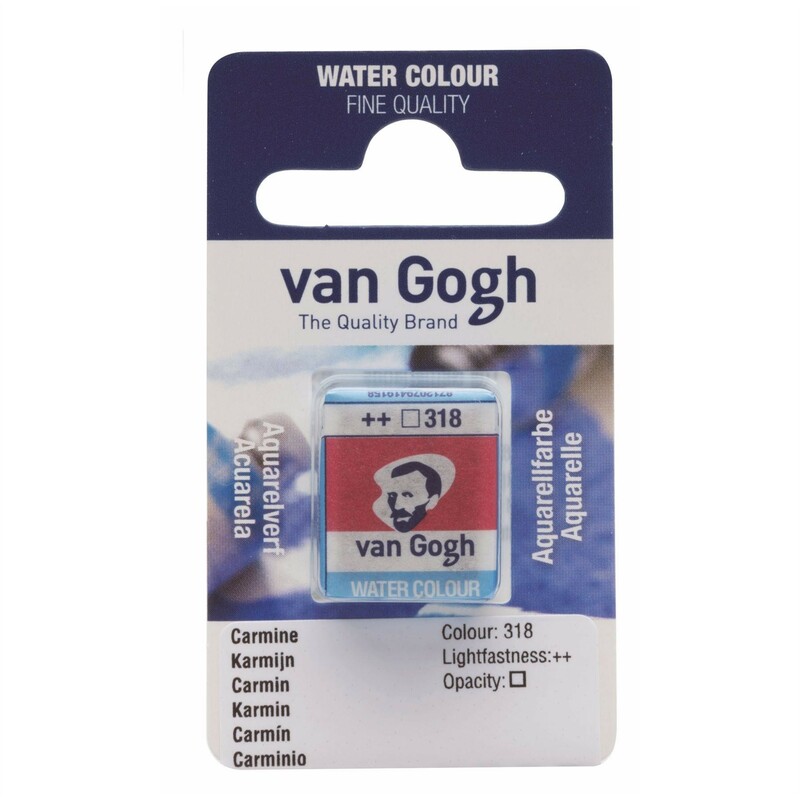 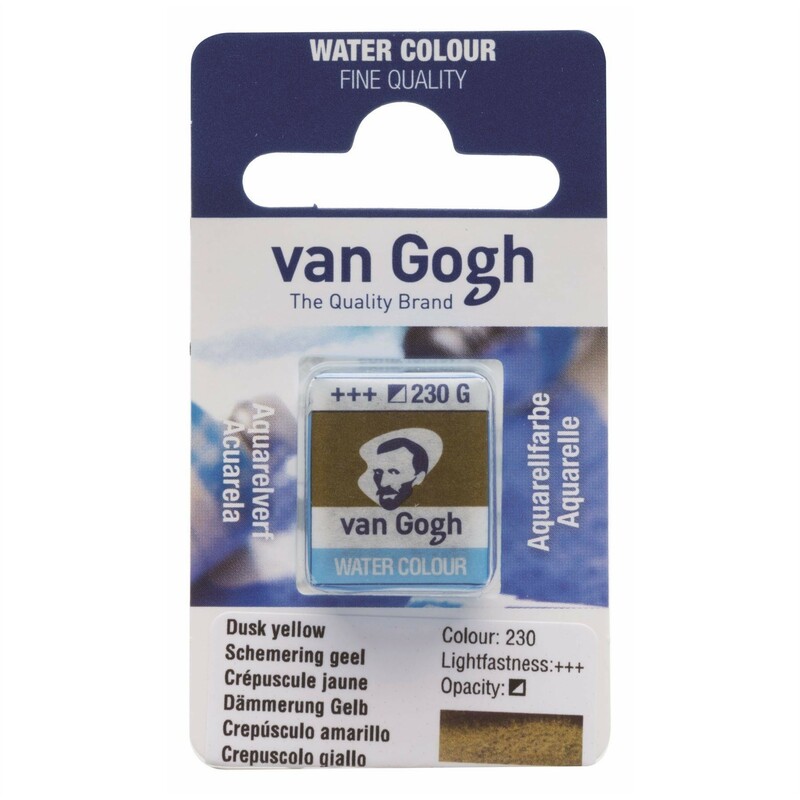 Van Gogh water colour is a transparent paint with intense colours. All colours have the highest degree of lightfastness. The paint is also easy to use. The purity allows the colours to be mixed easily and to be washed to create the finest of nuances. 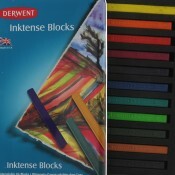 Lively colours are the result! 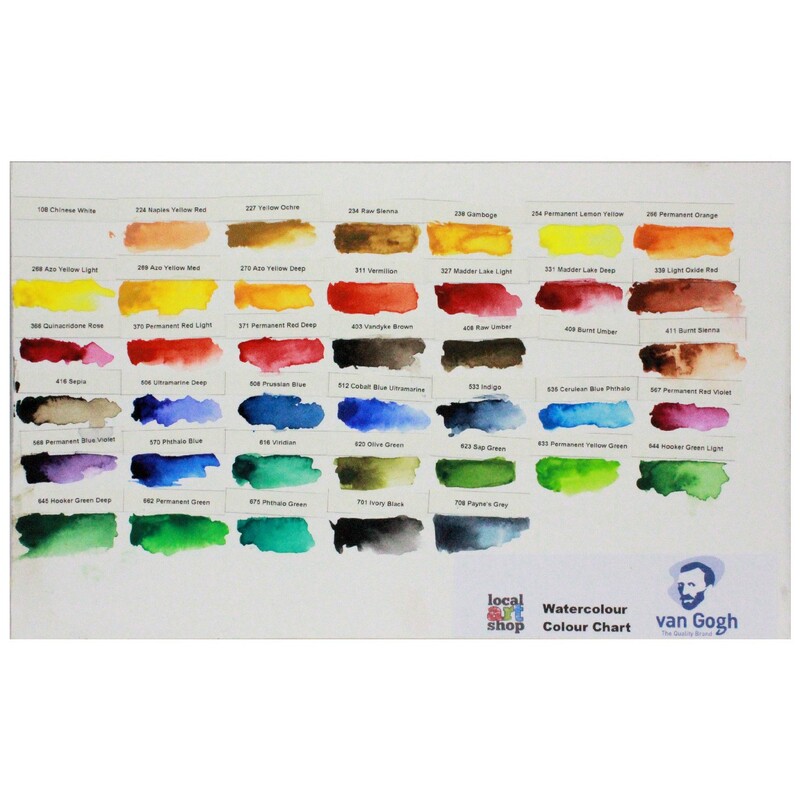 The wide range of 40 colours is available in tubes and pans. 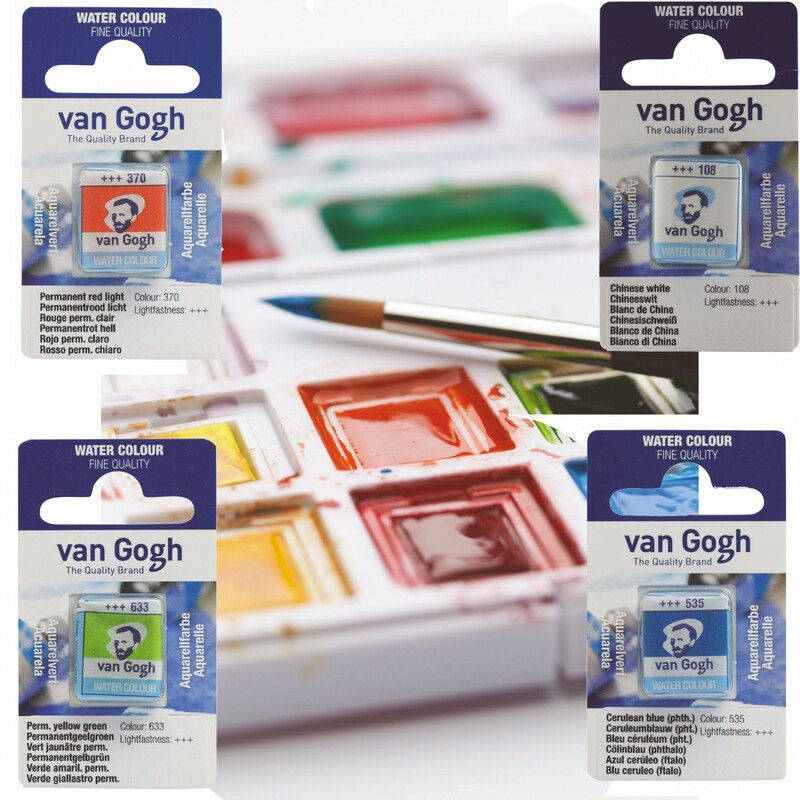 There is also a selection in sets that are handy to take with you. Always ready for use! 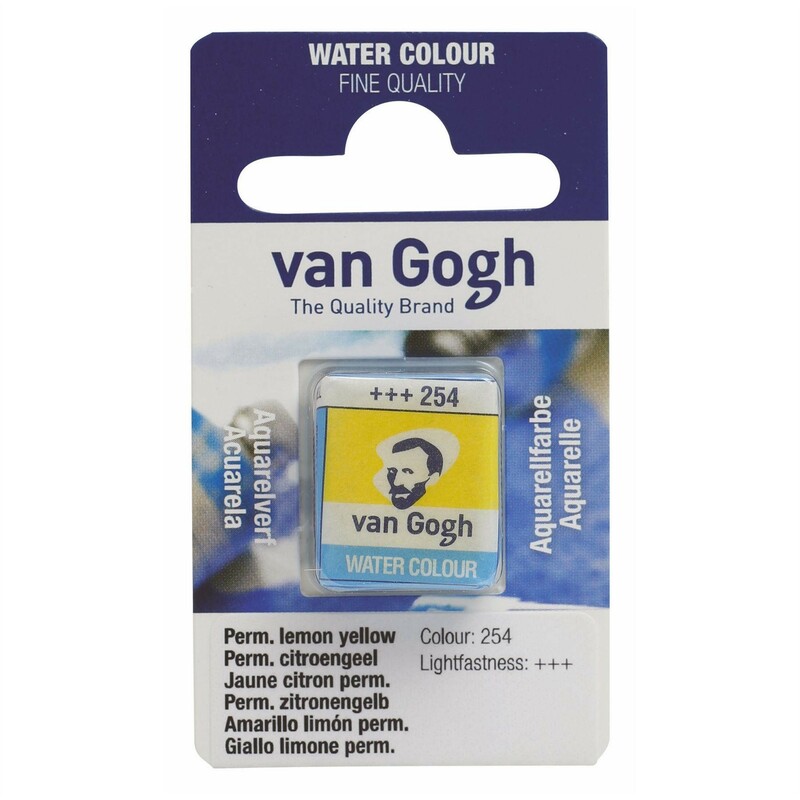 See FAQ's for information on our promotions, such as our excellent buy 2 get 3rd free offer. Customers must ensure that all three items have been added to their basket to qualify for discount - cheapest item free, mix and match any items that appear in the Buy 2 get 3rd free section.